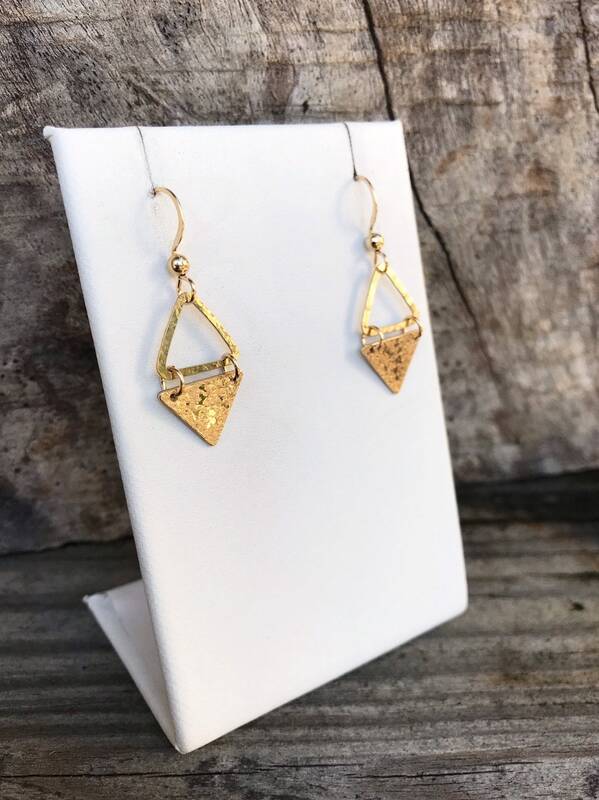 Gold Triangle Earrings - 14k Yellow Gold Filled - Hammered Textured - Rustic - Hammer Formed - Geometric Earrings - "Triangle Dangle"
These earrings are so much fun to wear! 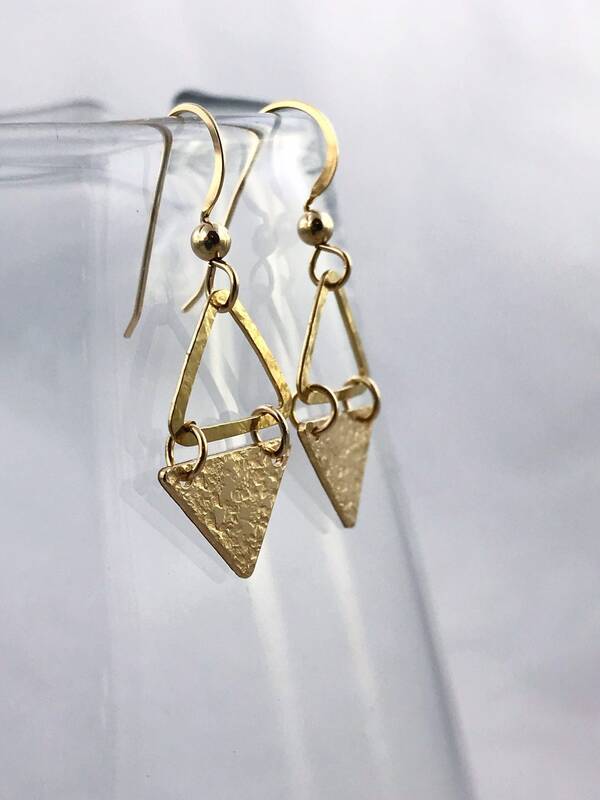 Made in 14k yellow gold filled, they feature a hammered open triangle at the top and a hammered closed triangle at the bottom. They move nicely, catch light beautifully and look amazing with almost everything. 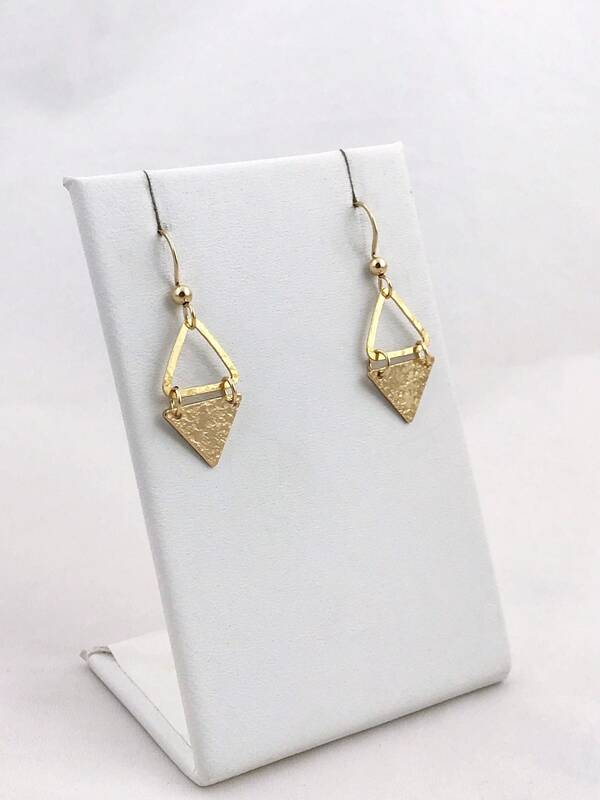 The triangles feature two different textures, the top is a very subtle hammered texture and the bottom is a hammered "textile" pattern texture. 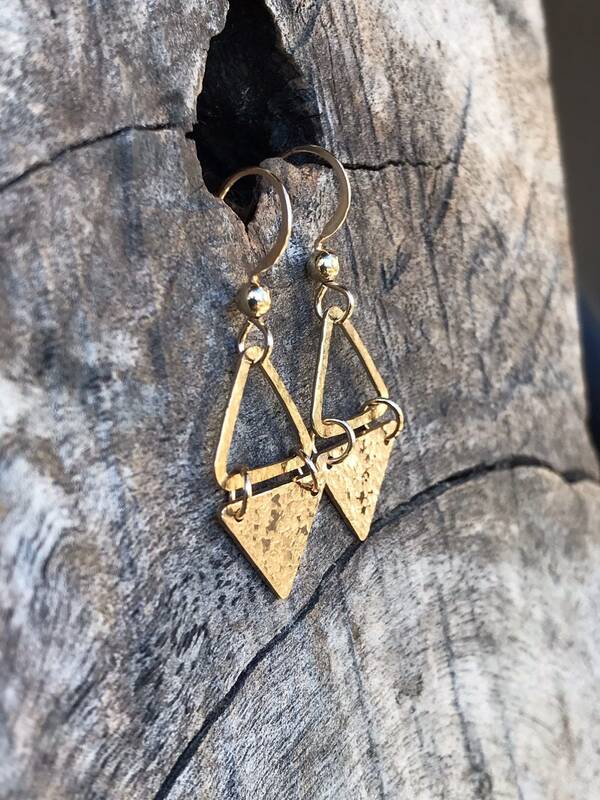 These earrings are made to order and each pair is unique. Yours will be created just for you. 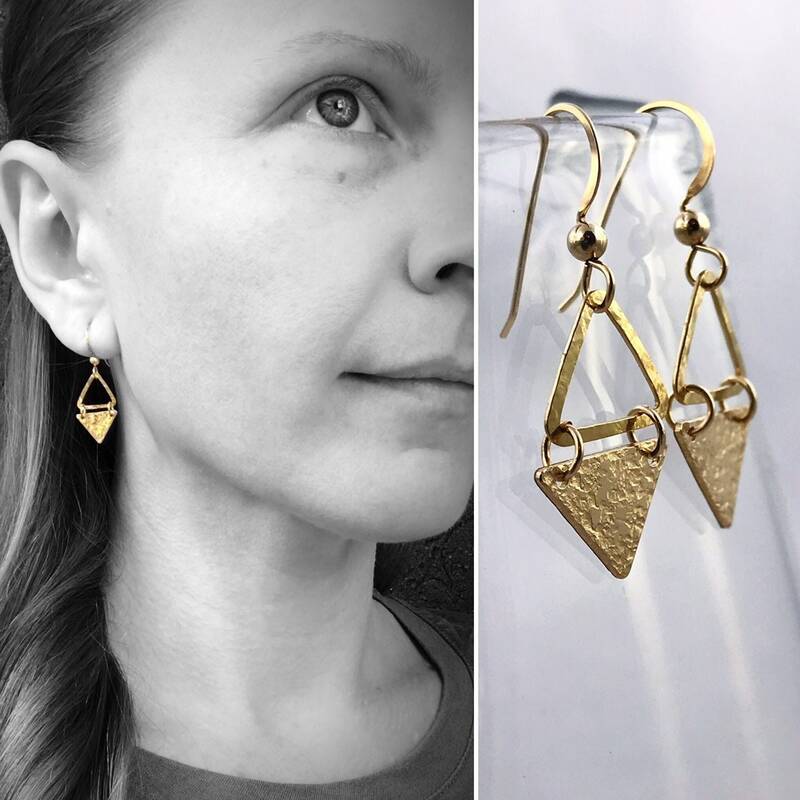 -These are hammer formed and each pair has it's own texture features, but each pair will have subtle hammer texture on the top triangle and hammered textile texture on the bottom triangle (please see photos for texture detail). 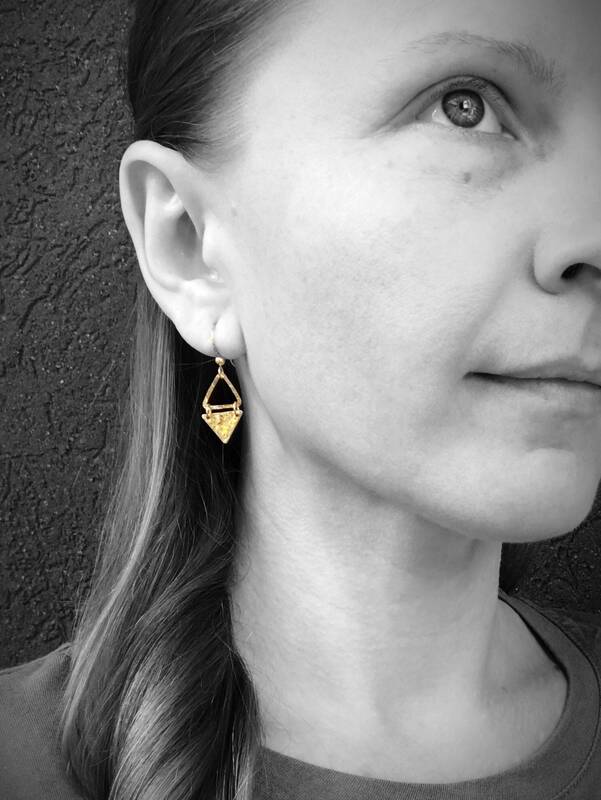 Thank you so much for visiting my shop! 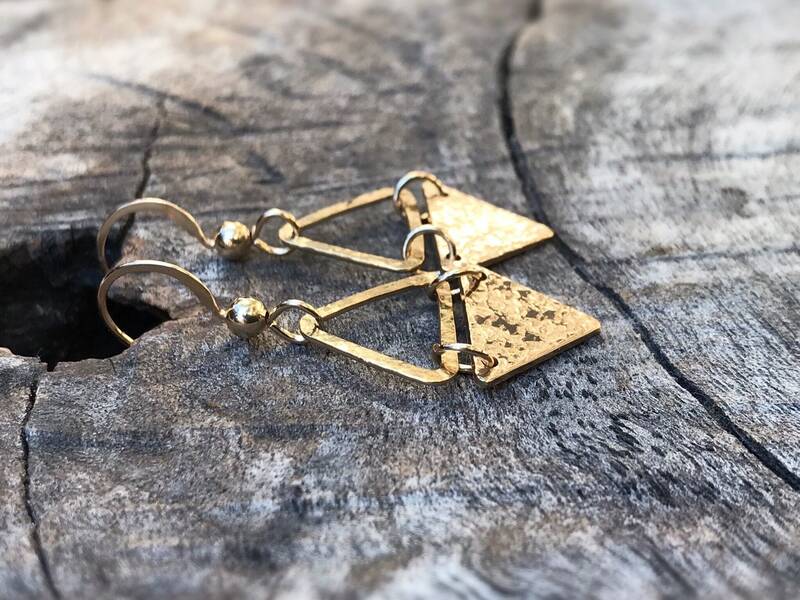 If you have any questions about these earrings or any other jewelry in my store, please contact me, I'm happy to help!